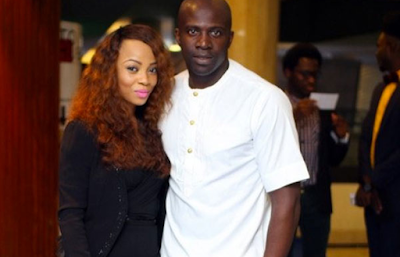 Media personality, Toke Makinwa and her estranged hubby, Maje Ayida, are now officially divorced. Their three-year-old marriage was annulled by Justice Morenike Obadina of the Igbosere High Court in Lagos yesterday Thursday, October 5th. Their marriage fell apart in 2015 when news broke that Maje was expecting a child from his side chic, Anita Solomon. Toke had in March last year approached the court to dissolve her marriage with Maje on grounds of adultery. Delivering his judgment, Justice Obadina said Maje had approached the court to file a petition against Toke but did not provide evidence to back up his claim in the petition. The judge held that Toke had sufficiently proven that the husband committed adultery and continued to flaunt his adulterous relationships even to her face. Maje and Anita who are the defendants and co-defendants in the case did not provide any defense against Toke who filed the suit against them.